…at the beginning of the 18th century with the ambition of growing vine. 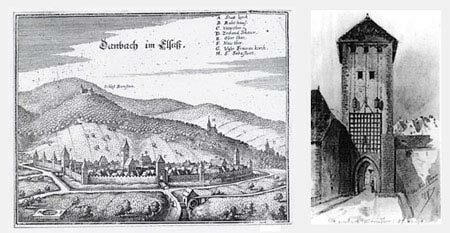 At first constrained to polyculture as many families were, our ancestors owned only few areas for winegrowing: 1.5 hectares in Dambach-la-Ville. 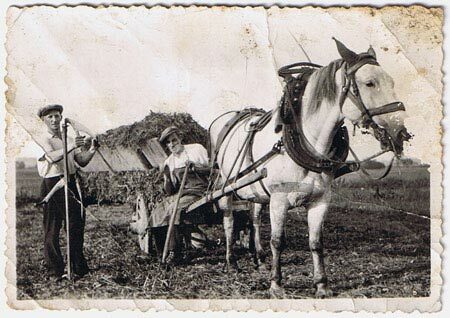 Back then, the vines were worked with the help of family cattle and once the harvesting period reached, the grapes were pressed and then sold onto a merchant. In 1958, after returning from military service, Charles Frey and his brother Jean-Pierre were given 0.75 hectares each by their father Joseph and decided to each stand on their own feet. 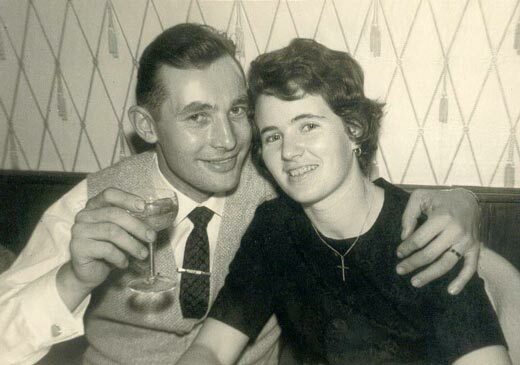 Charles and his wife Renée took a risk and dedicated their plot purely to wine growing and in 1963 the first bottles were produced. A 750 L bottling and a 3000 L bottling were the reward to all their efforts before Charles and Renée saw their estate grow little by little. In 1968, a first small cellar was built and a second one was added in 1974, which to them both were able to contain the harvest of the whole enterprise which was of 4 hectares at this time. A wine-tasting cellar was also built in the former stables to welcome visitors who came to discover Dambach-la-Ville. In 1984, Charles was now able to count on his son Dominique, who freshly graduated from the Alsatian school of viticulture. Father and son were then to cultivate the vine in a conventional manner, as it is taught at school. Time went on and bottles were sold but Dominique was not fully satisfied with the wines he was making and started to look for alternative methods. With the support of his wife Nathalie, he then decided to reinvigorate his work and radically changed his techniques. In 1997, after several years of research and being convinced by naturally good wines, the entire farm was converted into a biodynamic agriculture, which made it become one of the pioneers in Alsace. At this time, organic viticulture was not as successful as it is today, and it made Charles sceptical vis à vis its use, probably by fear of seeing so many years of sacrifice fall apart. The beginnings were tough, disapproving stares of the others even led Charles to pick nettles at night, when nobody could see him, in the aim of making remedies in the form of herbal infusions the next morning. Perhaps he was not yet convinced that it would work, but it was important to respect his son’s conviction and allow time to prove him right. 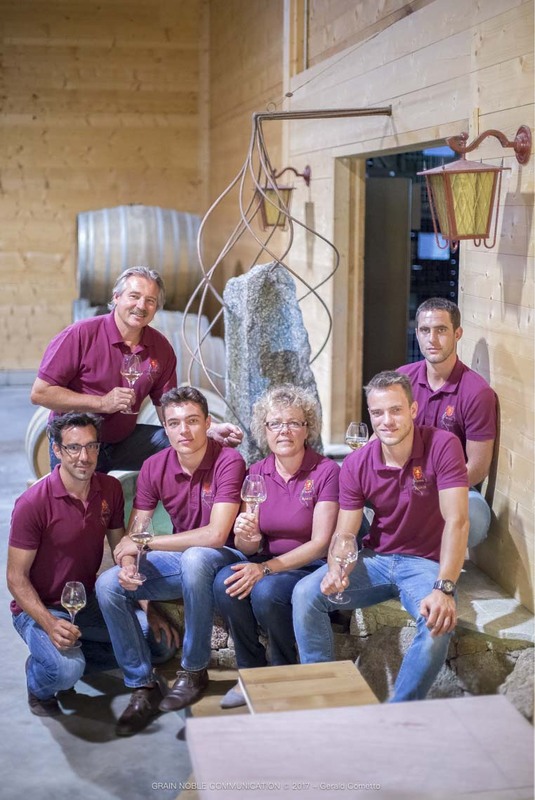 Soon after, in 2003, it was the third generation’s turn to make its appearance with the first grandson Julien who joined the crew following his studies in viticulture and oenology. Work methods evolved little by little in order to always produce better but the fundamentals remained the same. Today, three generations work together with great passion and Julien contributes to the development of the estate by bringing in new ideas like his father did in the past. In 2010, the family made the decision to build a new storehouse for the wine; which was yet another important step for the company. With this project, an important challenge was completed: that of building an aboveground bioclimatic wine storehouse made of solid wood with no air conditioning and in only natural materials. However, this storehouse was not made overnight, it will have taken many months of research to find the best answers to the problems held by such an improvement. After almost two years of elaboration, the first vintage (2011) can be received in optimal conditions. The wines are now matured in an aboveground bioclimatic cellar. However, remain assured that the cellar located in the town centre is still as important as it used to be. The wine store discretely holds the greatest of the estate to conserve the evolution in their flavour year after year and surely under the watchful eyes of the next generation. With 14 hectares of vine land now owned, an important path has been travelled since the conversion of the vineyard, the building of the new wine storehouse and history continues to be written. 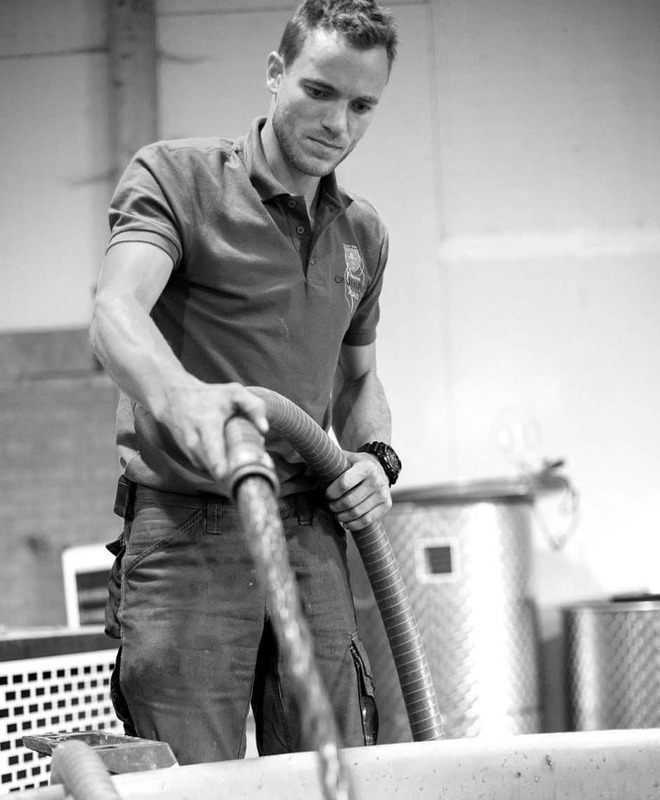 Since the 2016 vintage, a neighbouring winegrower from Dambach-la-Ville has come to join and has also played a part in the making of our wines, eventually by adding his grapes, also from the granitic local region of Dambach. Indeed, this collaboration is the result of a common vision of wine, organic viticulture and the expression of local identity. This adventure is far from over since Thiébaud, Dominique’s youngest son and Julien’s Brother is joining the team step by step with the aim of taking over the commercial impulse.